Ascension is, in part, about expanding our consciousness to embrace the seemingly impossible. 18 months ago, Urtema Dolphin went through a process that involved going without food or liquid for 7 days. This, according to scientists is a medical impossibility. 18 months on, 53 year old Urtema is still living on light. She is healthy, active, vibrant and lives and works in South London. ...TALK: LIVING ON LIGHT AND ITS RELEVANCE TO THE ASCENSION PROCESS. Urtema's personal reflections on her experience of the 21 day process and the following year. 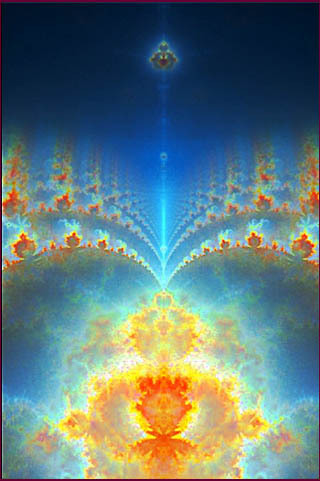 Meditation, Activation and Guidance on living in the 5th Dimension -Now. Urtema and her guides will assist in the expansion of the understanding of the Ascension Process. This will encourage a smooth and joyous transition from 3D-5D. ". . . fascinating, inspiring and informative. 'Urtema took my understanding a step further by placing her beliefs and practices in the context of transformation. Giving up food and drink appears to bring about a change at cellular level in which the body attunes to a higher level of consciousness and being. The realisation that there are people on earth who are already half way there helps the Western mindset to grasp the idea of raising consciousness to a higher level. I have for long struggled with this concept, being unable to see what triggers it. Now at last I have an answer!" "Thank you also for the 'reminder' that we are Ascending, that it isn't something 'out there' or something to come. It is right here right now, our energies and aspirations are changing now. Thank you also for the new affirmations, we make our own reality and have been shown a new way forward... all very wonderful and highly recommended." "I was very inspired and uplifted by your words. Your message could not have come at a better time." There will be an opportunity to experience the effects of GODDESSENCES - the powerful chakra balancing aura sprays gifted to Urtema by her guides to assist with our healing and bringing us into the vertical alignment that is necessary for Ascension. GODDESSENCES will be available to purchase on the day at a reduced price for all participants.